By using DirectSmile for the creation of websites, the user is able to enjoy all of the benefits of flexible content management without having to accept the disadvantages of rigid templates. 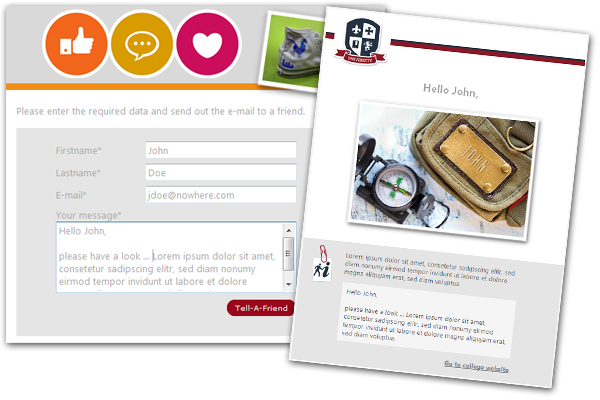 The option to combine static components from a website with interactive elements is especially helpful for gaining new web contacts and better qualifying them. For example, visitors that register on the university's page will be directed to a personalized area with specific information on the chosen course of study. 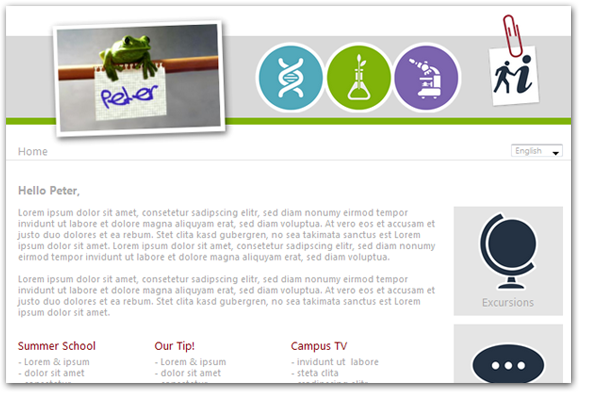 Here, not only is the content personalized, but the layout adjusts to the user as well. Image personalization makes the user's experience even more personal. Tell-a-Friend is a proven mechanism to turn customers into advertisers. All functions and layouts for this are easy to realize using DirectSmile. From data input on the website to the friend's recommendation e-mail, the university campaign shows how it all works. DirectSmile's marketing dashboards are not only designed for the response measurement of individual campaigns and e-mail tracking, but they also offer the perfect solution for the permanent capture of visitors and activities on a website. The university demo-website provides a direct glimpse of the analysis in real-time via the 'Dashboard' link. 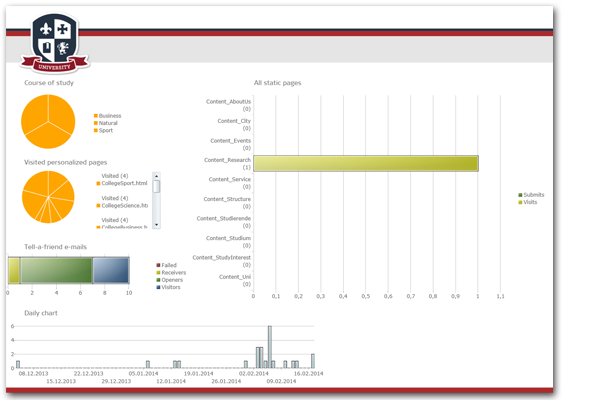 By the way, dashboards can be customized in design and function according to the respective task. One of the reoccurring tasks for data-driven websites and applications is the creation of password protected areas. DirectSmile also has strong advantages here. All necessary functions for user management can be set-up without any programming. 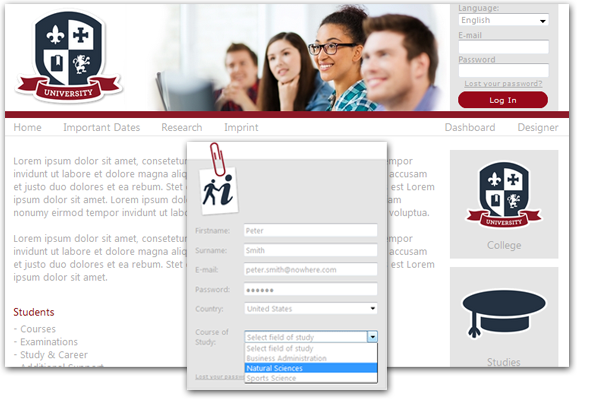 Even The layouts for forms, registration pages, and notification e-mails are a snap to create using – as usual with DirectSmile – the drag and drop method.